So while I’ve been Dengue-free for about two weeks already, recovering has been pretty hard. With Run United Philippine Marathon closing in, I’ve shifted my focus to running while maintaining at least one gym day a week. The weather hasn’t really been cooperating during the weekdays, but I’ve scored some mileage once again. My pace isn’t back in optimal condition, but at least I can still run long distances (although they take longer to complete now). 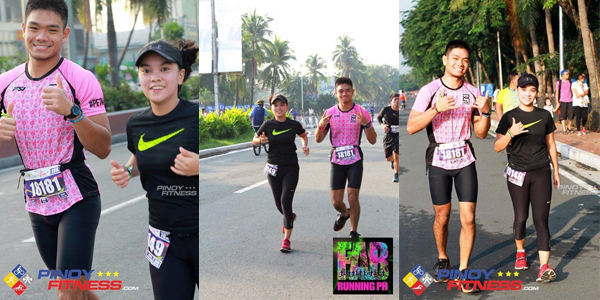 My post-Dengue comeback run was the Affinitea Entreprun 2015. I paced with my partner, Kaycee, and we both finished the 18 kilometeres injury-free. A week after that, and a day after climbing Mt. 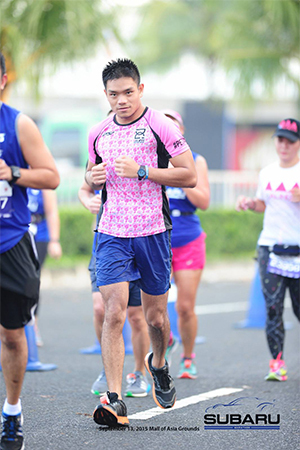 Sipit Ulang, I ran the Subaru Marathon at the 21k distance. It was hard and punishing, but running with thousands of other people made me endure it. This was my slowest 21k run yet, so instead of a Personal Best, I broke my record for a Personal Worst. I think that calls for a celebration, so afterwards, I cooked some lamb chops for the family. Yum. Anyway, in other news, I just recently learned about the newspaper trick in drying your shoes. Apparently, if you smush newspapers in your wet shoes, they’ll dry quicker. This information is a blessing to me because I sweat like a waterfall and even a 5k run leaves my shoes soggy. Me when I burn more than 2 calories at a time. Although given the weather we’re having, the rain is more likely to get to my shoes first before my sweat does. 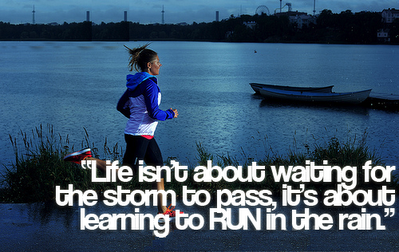 It’s been raining cats & dogs lately and I’m still summoning the courage to run when it’s pouring. But since the RUPM is two weeks away, mileage is mileage and I need to run more before I taper. Whatever happens, I foresee a wet and wild run in the near future. Okay, motivational picture, if you say so. In lifting news, here’s a video of this 16 year old girl, deadlifting 190kg/418lbs. That. Is. Impressive. 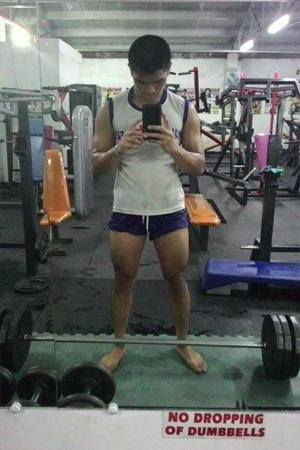 And I miss lifting heavy weights. But those will have to wait after RUPM. After the Dengue crisis, I only have enough time to focus on one thing at the moment and it has to be running. So congratulations to you, Lee Winroth, you have proven that girls don’t get bulky when they lift heavy. They just get more badass. Also, according to this comment, she was diagnosed with scoliosis. 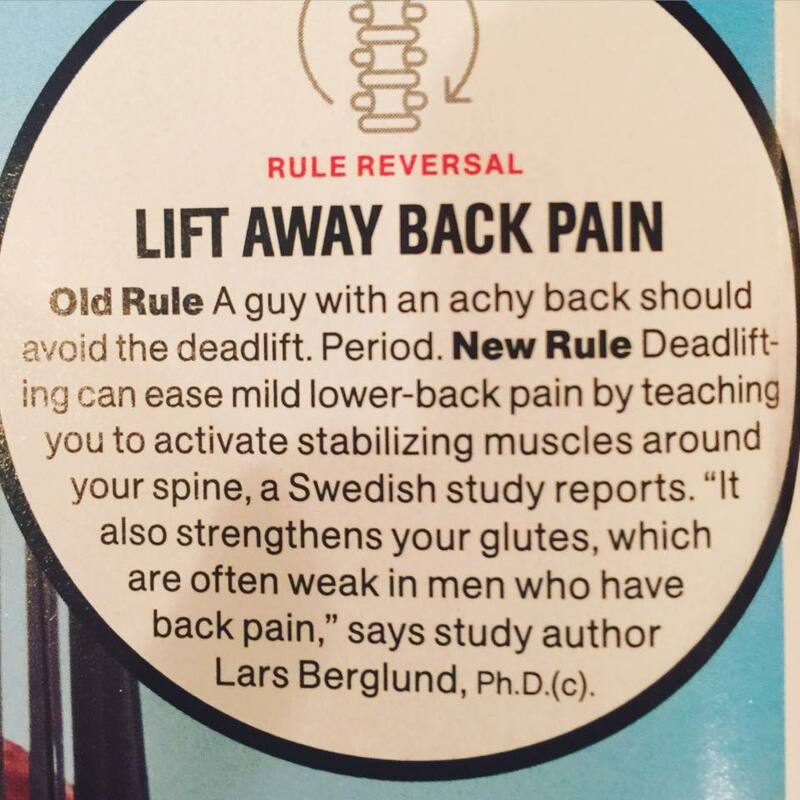 More proof that Deadlifts are the best cure to back pain, and that having Nordic blood is more powerful than taking steroids. Yup. I can’t wait to be back in the gym, deadlifting and squatting and making weird faces at the mirror. Lastly, I’m pleased to announce that as of this week, I am a certified trained First-Aider! Our company had a seminar in partnership with Philippine National Red Cross – Pasay chapter and I was one of the representatives. 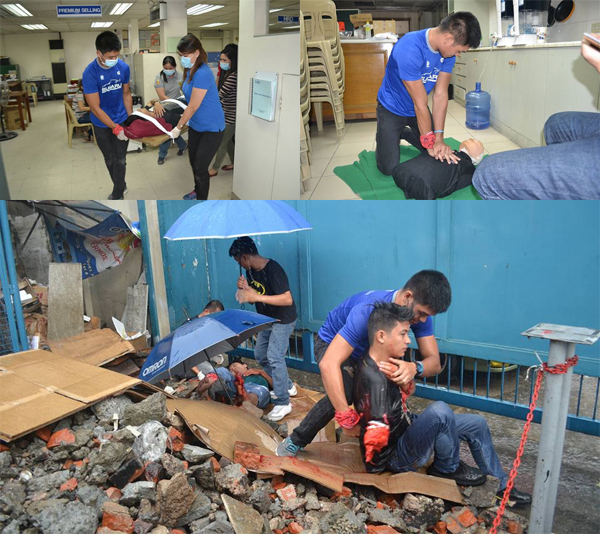 Now I’m part of the emergency response team of the company. I’m glad to have learned a lot and be a more useful person, but I hope I never get to use these skills in real life. So please, stay safe, everyone!